This section contains images of people who are near and dear to Dr. Rasmussen. By looking under "Associates" you will have a chance to meet many of the people who have contributed to HolyLandPhotos.org. Photos from a variety of Adult and University trips are included here. 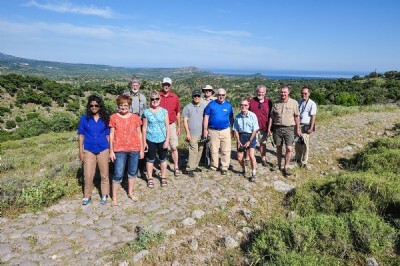 The above photo was taken in late May of part of our adult Turkey and Greece trip on the Roman Road to Assos—Paul may have walked this road (Acts 20:13)! For information on our 2018 trip (May 14–31) check this out.